Can you tell me what kind of cologne your father wore? I’m doing research and looking to see what kind of cologne second-generation Italian-American men wore. Was that also Old Spice or nothing at all? You’re doing research on perfume and Italian-Americans? That’s very interesting! My 1st generation Italian-Canadian grandfather (came over in 1924 via Ellis Island, New York… then to Montreal) wore Old Spice. My 2nd generation Italian-Canadian father wore Eau Sauvage. Wow. I typed in SS America and this is what came up. It wasn’t exactly what I was looking for, but it was very interesting. 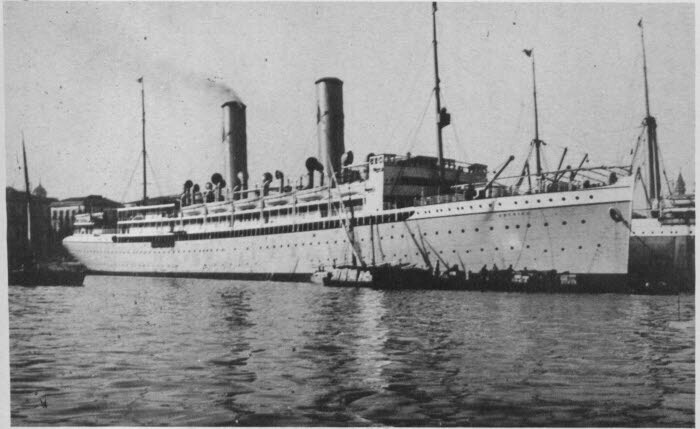 It just so happens that in 1913, the SS America took my great-grandfather from Palermo to Ellis Island. Weird how everything has something related to it. I’m doing some research on the SS America, so that’s why I typed it in. Well… good luck with your research on the SS America! There were several ships with the same name so it can be confusing. I assume that you checked the Ellis Island website and checked the manifest. The particular SS America that brought your great-grandfather from Palermo (and my grandfather from Naples) was scrapped in 1928. Once again, good luck with your research and thanks for writing!